PRICED TO SELL! FULLY FURNISHED. Highly coveted corner residence with panoramic southeast ocean views is now available at Boca Raton's premier oceanfront address: One Thousand Ocean. It features over $2 Million in bespoke finishes including Brazilian cherry wood floors. Floor to ceiling glass windows provide breathtaking, endless ocean and Intracoastal vistas from every corner of this elegant and exquisite residence while capturing the sun's rays to reflect them on the impeccable hardwood floors. Soaring high ceilings harmoniously blend ocean outdoor views and an exceptionally designed interior. Lot Size: 2.2 Acres / 95769 Sq. Ft.
SchoolsClick map icons below to view information for schools near 1000 S Ocean Boulevard #303 Boca Raton, FL 33432. 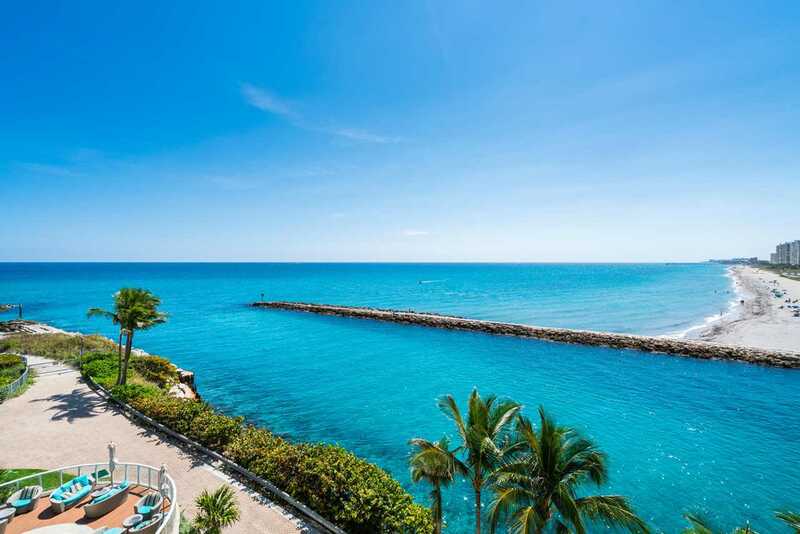 MLS # RX-10471357: This property at 1000 S Ocean Boulevard #303, Boca Raton, FL 33432 is located in the One Thousand Ocean subdivision and is listed for $4,725,000. MLS # RX-10471357 has been on the market for 191 days.